A little spicy, a little sweet and a full on gujju. This is my blog where I put down my ramblings, recipes, reviews, and tips & tricks on how to beautify the spaces around you. I would always wonder why my mother always used Lakme products, until I started using them. Lakme products are always pocket friendly, have a wide range of products suitable for all skin types. Lakme absolute salons are the best way to pamper yourself. 'Lakme for Life' a new reward program by Lakme India, was announced on 5th March at the Lakme Salon at MG road, aims at rewarding 8 lucky customers with expert salon services for the next 8 years, completely free. These 8 women will be rewarded on 8th March to coincide with Women's Day this year. These 8 lucky ladies will win free salon services equivalent to their previous year’s spends at Lakmé Salons, each year, for 8 years! The must try services at Lakme absolute salons are hair spa, nail treatment and skin enhancement treatments. The bridal packages give a complete makeover to the bride to be, and make her glow on the D day. My personal favrouite products and must try for all working women are 9 to 5 range of compacts and lipsticks. The lipsticks are of lighter shades and match almost all the outfits. The eyeconic kajal is easy to apply and stays for a longer time. Not to forget, the Lakme absolute gloss lipsticks are one of my favourites. on all services from March 5th to March 23rd, so you can save while you spend & who knows, you may be one amongst the lucky 8 next Women’s Day! Eagerly waiting to try their services and share my experience. 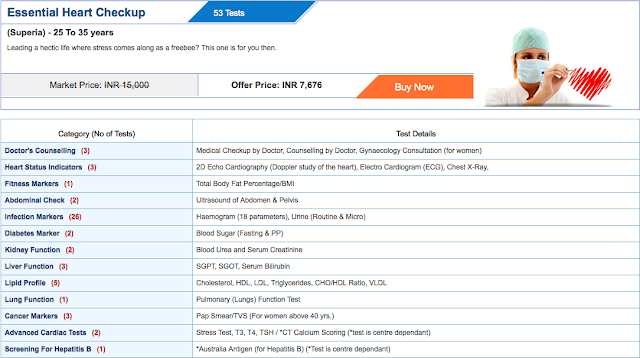 Indus Health Plus at your Service! 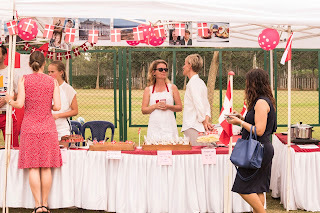 A food fest at a school? Oh yes! !